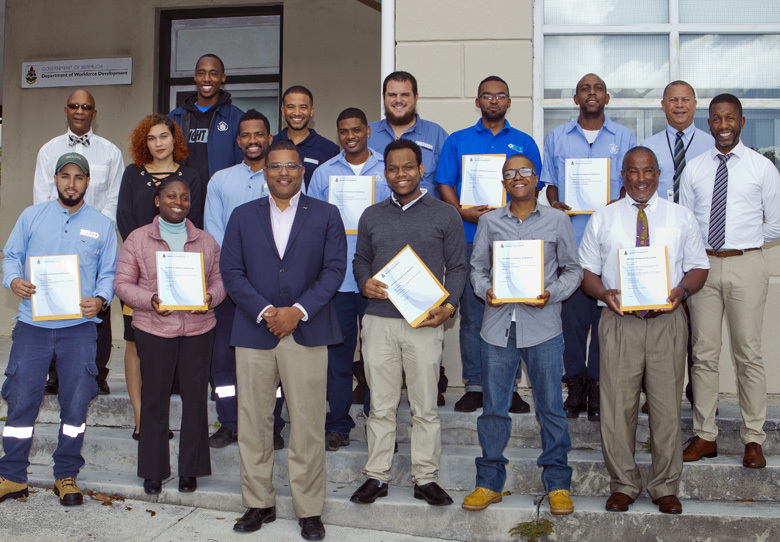 The Minister of Education and Workforce Development Diallo Rabain recently presented certificates to apprentices who have completed training with the assistance of the Department of Workforce Development and their employers. 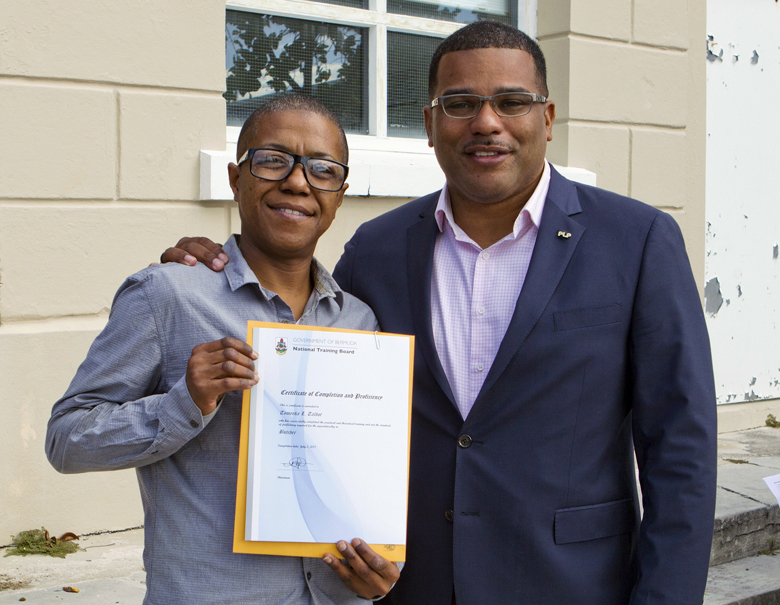 The Department’s Training section works with local employers, unions, the Bermuda College and industry partners to ensure quality professional, technical and vocational training is available to all Bermudians. Minister Rabain congratulated the students for their commitment to complete their respective courses and training.